As anyone who’s visited the City of Light can attest–particularly those tourists who inundate Paris during the peak summer travel months–the crowds for some of the iconic attractions can range from frustratingly busy to downright overwhelming. And 2018 was no stranger to massive throngs of sight-seers, particularly to the city’s world-famous Louvre museum. The previous yearly attendance record was 9.7 million in 2012, which is half a million fewer visitors than in 2018. 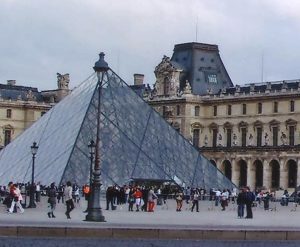 Of course, Parisians also enjoy visiting the Louvre, so not all of the visitors last year were out-of-towners. But suffice to say there were millions of tourists at the Louvre in 2018, and there will no doubt be millions more this year. So, do what we always do. Plan your visit out well in advance. If the museum is offering free admission (as it does the first Sunday of the month), skip it–the place will be packed. Ditto for most weekend days regardless of admission price. And if you want to skip standing in ridiculously long ticket lines, arrive 30 minutes before opening in the morning when the lines are just beginning to form. Or buy a city museum/attractions pass that allows you to skip the ticket line entirely. 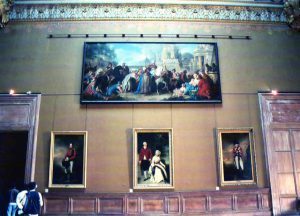 This entry was posted in Art, Beauty of Paris, Famous Paris destinations, Museums and Galleries, Sight-seeing and tagged crowds, Louvre, Musee du Louvre by Bob Adams. Bookmark the permalink.